My first week at the new job is now in the books! I really did not run into anything unexpected. I now have a pretty good idea of how things work around the joint, and I am ready to enjoy my long weekend and probably forget everything I learned over the past week! Now onto the links! Canadian Finance Blog hosted the Carnival of Pecuniary Delights#22-UFC Edition which featured Why Don’t I Have a Principal Payment Option Online? There is a small, black dot under your eye (visible if you drop your lower eyelid) that drains tears to your nose. See, no need to cry! 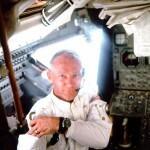 In a gigantic case of irony, Buzz Aldrin’s mothers maiden name was MOON! Mary Shelley (of Frankenstein fame) kept her deceased husband’s heard wrapped in silk until she died. Previous post: People Pay for This? I Just Don’t Get It.